Promote vacant classifications – Look at your missing classifications. Create expectations early - Have each new Rotarian bring a guest or have them sponsor a member as part of a campaign. Remind Rotarians that this is part of what it means to be a Rotarian. Have special “theme” guest meetings - A “Rotary alumni meeting,” a “youth leaders in the community” meeting, or simply “bring a friend day” as an opportunity to acquaint prospective Rotarians with Rotary. Introduce people to Rotary through public relations – Brochures or local newspaper ads highlighting Rotary accomplishments and spotlighting community leaders in Rotary. Or add your Rotary meeting to your local newspapers’ community calendar. Don’t miss an opportunity to promote your projects, fundraisers, awards ceremonies. Invite local business people to a special event - “Introduction to Rotary Happy Hour” or a “Chamber After Hours” sponsored by all the Rotary clubs in your area. Team Effort - Create membership teams within the club, and challenge each team of four people to bring in one new member. Divide the Members in 12 – Assign each member a month of the coming year. Challenge them to bring in a new member during that month. Knock on Doors – Round up a few of your members on a weekday morning and visit stores and businesses in your community, especially those close to your meeting place. Drop off a club brochure or newsletter and invite the owners or managers of those businesses to an upcoming meeting. Club Forum - Hold a club forum on membership development to discuss ways to seek out potential members. Or just take five minutes for a brainstorming session for prospective members – regularly! Ask every member for “2 leads or 5 bucks” or some other fun thing. Remind people regularly at meetings that we’re always on the lookout for quality people to join Rotary. Rotary Projects - Invite guests to participate in your projects and let them see for themselves how much fun we have. Know the Process - Be sure everyone in the club knows who’s eligible to join Rotary. Make sure they know how to propose a new member! 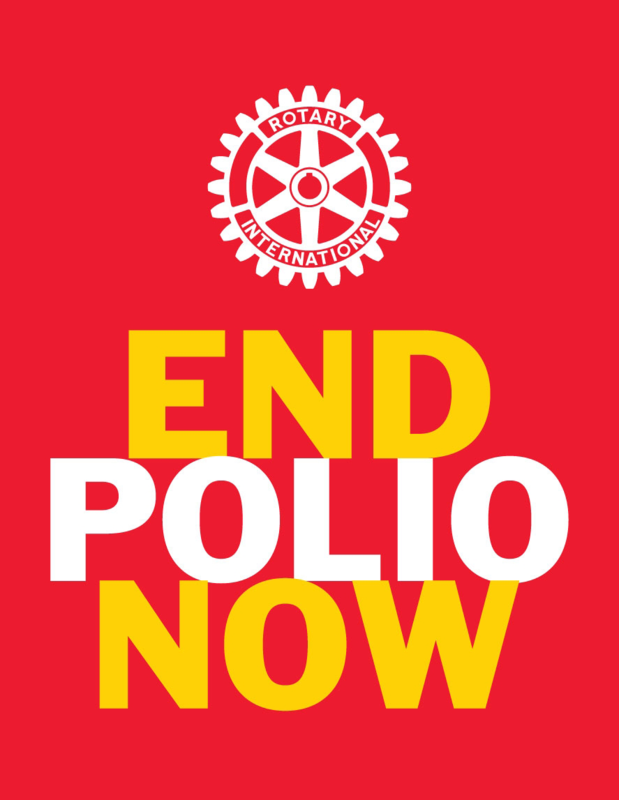 Non-Rotarians who have participated - Keep a list of people who pay to attend Rotary fund-raising events, and invite them to join you for a meeting and learn more about Rotary. Look for People who already know Rotary - Seek new members from the ranks of Rotoplast, Group Study Exchange, Ambassadorial Scholars, former Rotary Youth Exchange students, and even the parents of Interact students, or later on actual former Interactors. Put your club on display – Are there any vacant storefronts on a nearby street or in a nearby shopping mall? If so, contact the owner and ask if your Rotary Club can use a front window to display a poster and other information on your Rotary Club. Make sure to provide the names and phone numbers of some club leaders who can be contacted for more information. Guests at Meetings - Invite friends and colleagues to be your guest at a Rotary meeting, to learn more about who you are and what you do as a Rotarian. Pick up the meals - Pay the meeting meal fee and make all prospective Rotarians guests of the club. Make sure someone introduces the guest. Don’t ask them to introduce themselves. Rotary Information - Make sure there’s plenty of literature about Rotary available at your meetings and events -- including copies of Rotarian magazine, the District newsletter and your club bulletin. Create and distribute a brochure about your club. Rotary Info to Carry - Make “What is Rotary?” wallet-sized information cards available to all Rotarians. Or buy some from one of the Rotary gear suppliers. Guest Information Form - Have a special form available at each table at your club meetings. Capture the names, addresses, phone numbers and “who brought you” for each guest. Provide space to indicate interest in more information about Rotary. Make the form a bright color to attract attention. Participation in Rotary Projects - Encourage guests and friends to participate in Rotary projects or a fundraiser. Ask them to be a speaker at a future Rotary club meeting. Share why YOU are a member of Rotary – What better way to get people excited about Rotary than to share your Rotary stories, your passion for Rotary, why you joined, why you continue in Rotary. Know the Rotary Story - Remember that there are many answers, 10, 20, to the question “Why Join Rotary.” Find out what your prospect is interested in, and explore together why Rotary might be right for him or her. Your Elevator Speech – Write a brief explanation of what Rotary is and give it to each club member. Encourage them to memorize it. When people ask, “What is Rotary?”, your members should have a good answer. Proposing a New Member - Make sure everyone in your club knows how to propose a new member. Prepare and distribute a succinct explanation of the process. New Member Orientation - Provide a potent, honest orientation for prospective new members. You should have an orientation manual and one person responsible for conducting an orientation session with each prospective new member. This session should take place before the prospect becomes a member, not after. New Members Reaching Out – Ask new members to immediately bring in a prospective new member. Have them think in terms of blocks of new members. Perhaps invite a group of friends or colleagues.